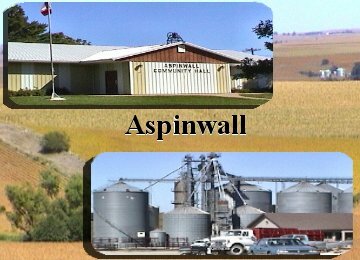 The town of Aspinwall lies in the southeastern corner of Crawford County. With a population of sixty, residents know each other and are close-knit. Because it is rented for many occasions, the Aspinwall Community Building, operated by the Community Club, is a big asset to our town. Several 4-H Clubs in the area enable our youth the opportunity to become involved and share their talents.